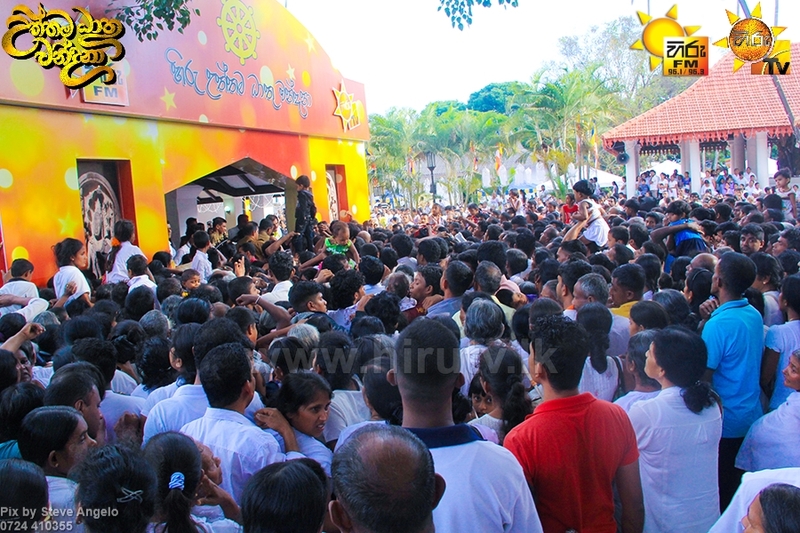 HIRU Uththama Dhaathu Wandanaa programme organized for the 4th time by HIRU TV and HIRU FM in view of the Vesak Poya Day, which commemorates the birth, enlightenment and the passing away of Lord Buddha, commenced today. 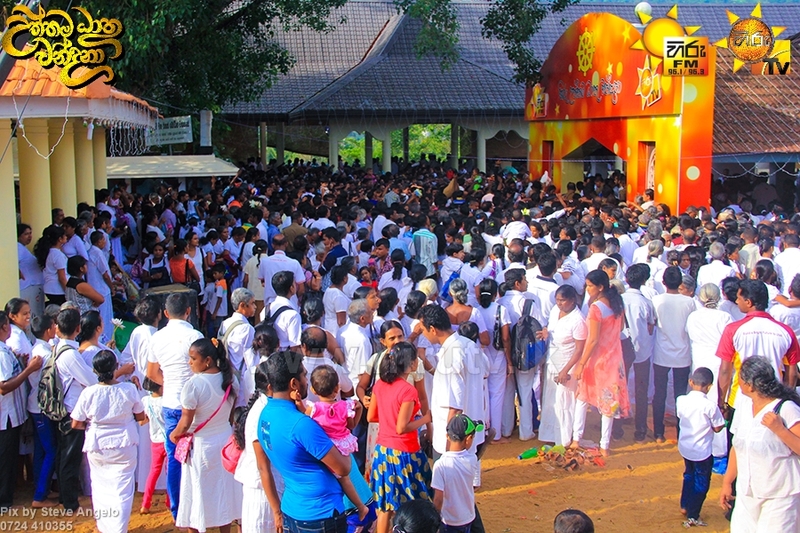 Hundreds of thousands of devotees are still arriving at the historical Muthiyangana Viharaya in Badulla to pay their homage to the sacred Kapilawasthu relics. 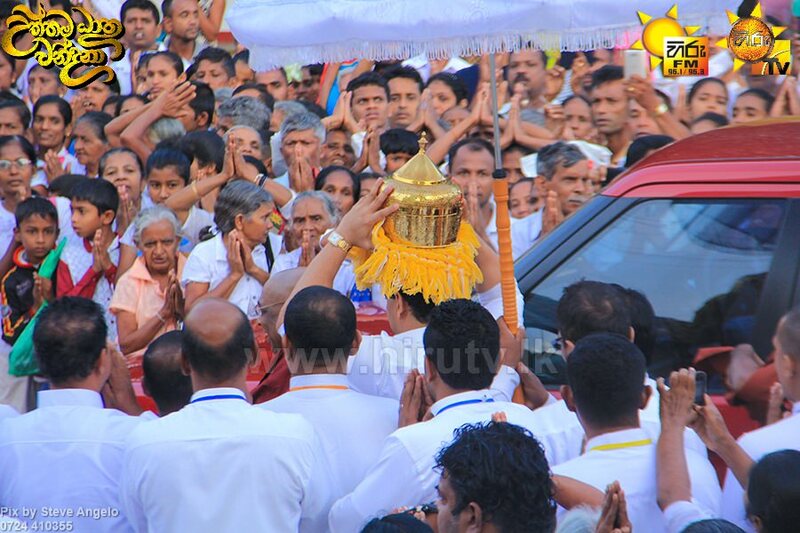 The conveyance ceremony of the Kapilawasthupura sacred relics of the Lord Buddha from Sri Subhuthi Vihara in Waskaduwa to the sacred grounds of Muthiyangana took place at an auspicious time last night. 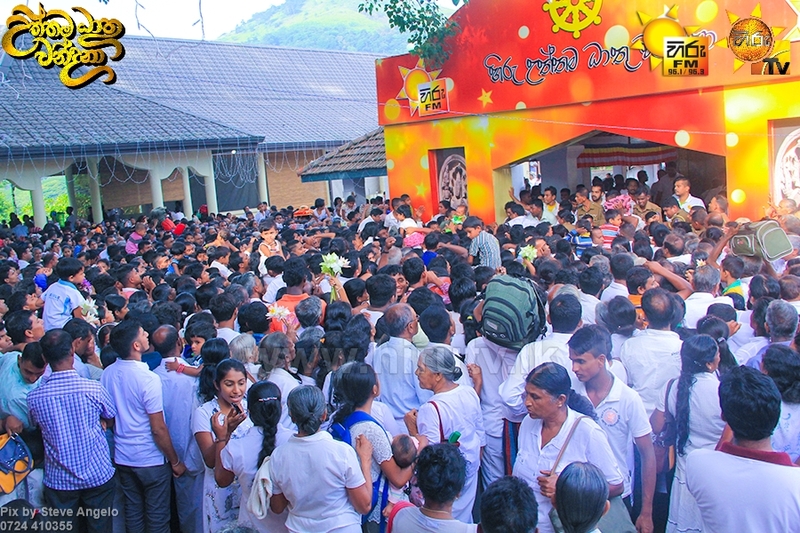 The devotees, who observed the Ashta Seela, eagerly remained at the sacred grounds of Muthiyangana since last night with the intension of paying homage to the sacred Kapilawasthupura relics. 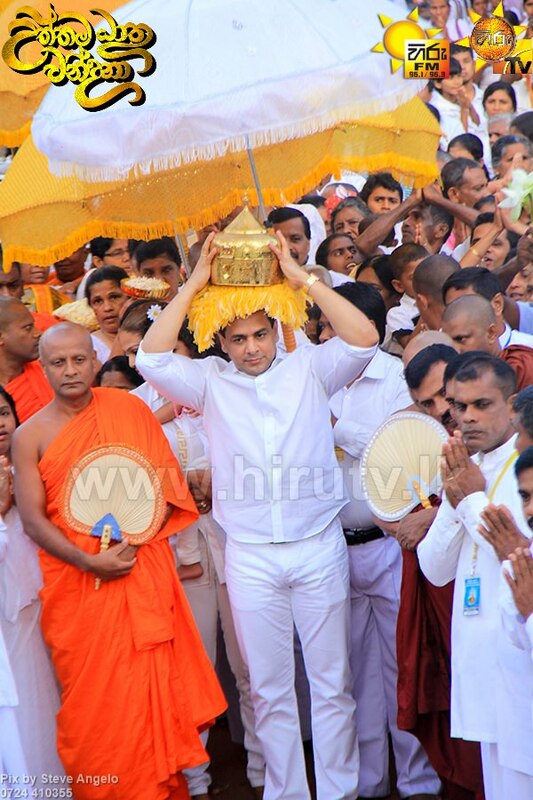 Chairman of the Asia Broadcasting Corporation Mr. Rayynor Silva placed the sacred relics of Lord Buddha from Kapilawasthupura in a special enclosure this morning, amidst the chanting of hundreds of thousands of devotees. 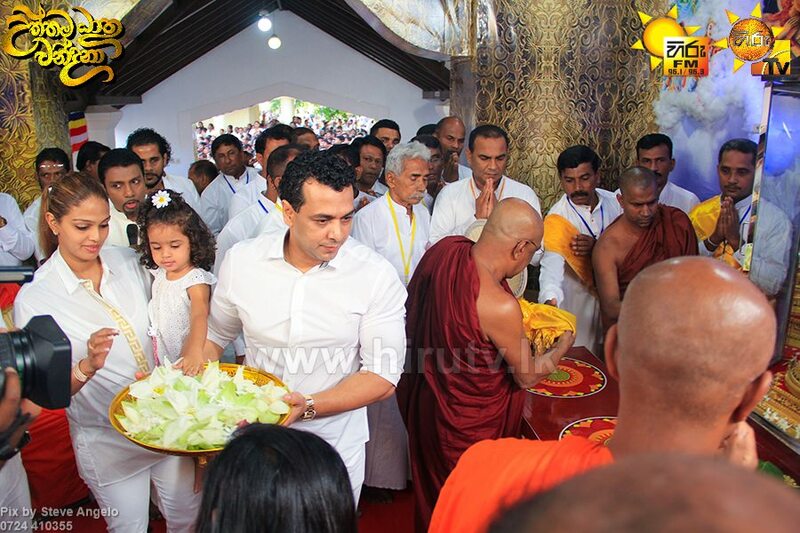 Chairman Mr. Rayynor Silva also conducted the rituals of offering flowers, Buddha Puja and the Ashta Parishkara Puja. 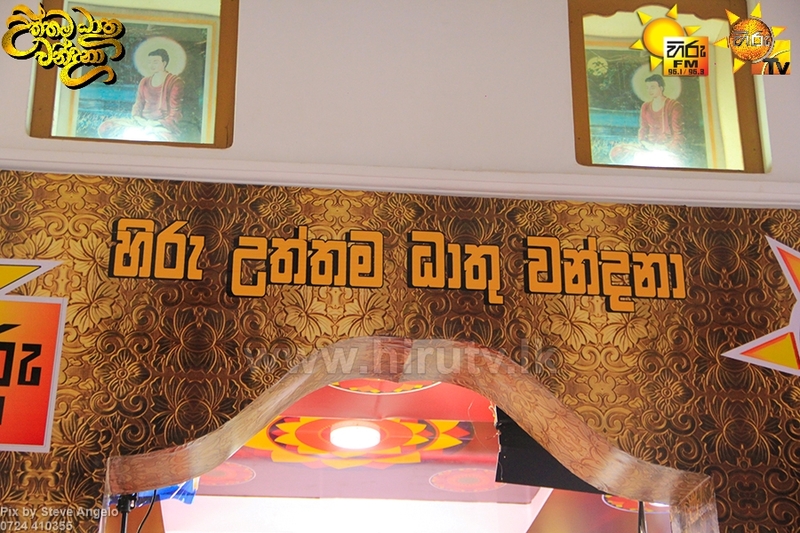 Following the religious observances, the Maha Sangha expressed their gratitude and blessings towards the Chairman of the Asia Broadcasting Corporation and the staff. 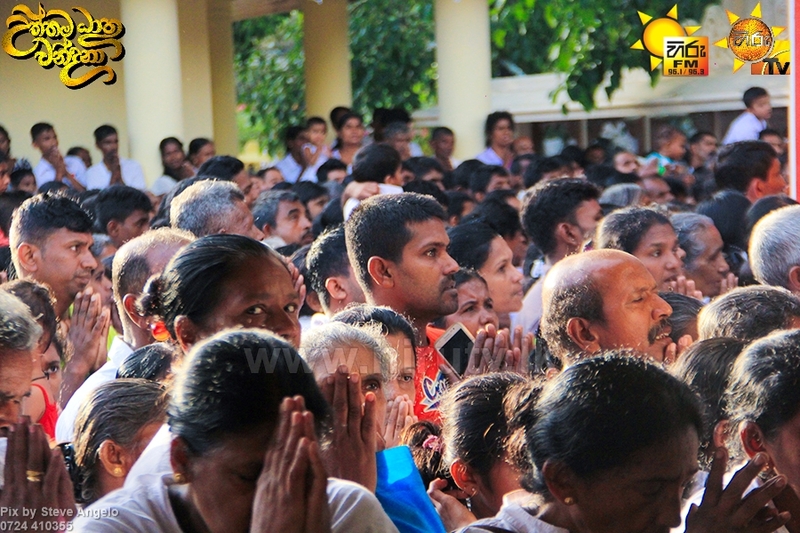 A Dhamma sermon was conducted by the Trustee of Badulla Muthiyangana Raja Maha Vihara Ven. 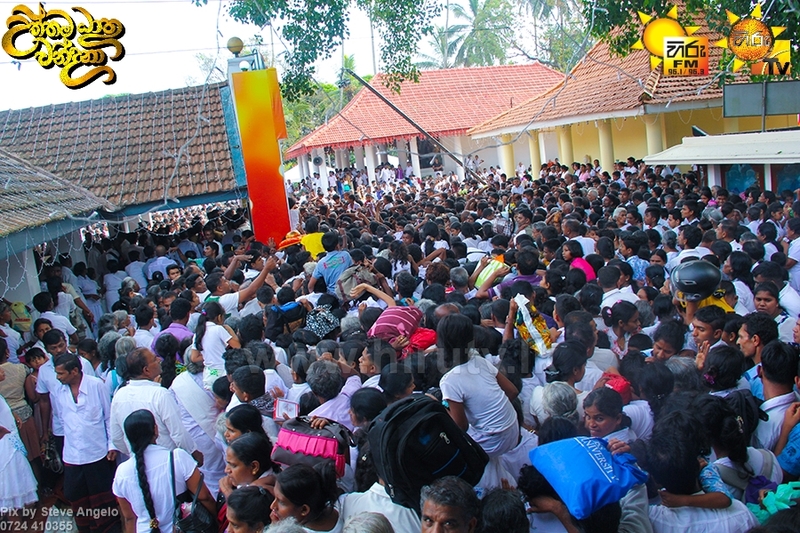 Murundeniye Dhammarathana Thera. 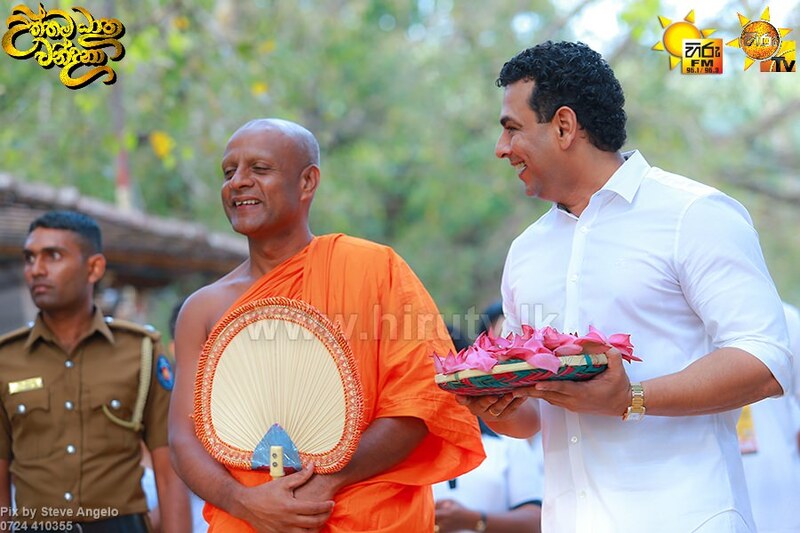 Expressing his views on the significance of Uththama Dhathu Vandana program, Chief incumbent of Waskaduwa Sri Subhoothi Vihara Ven. 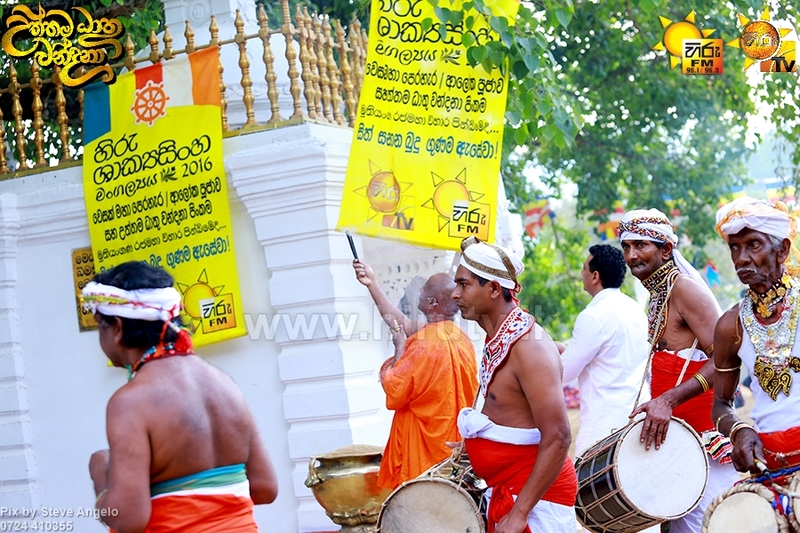 Waskaduwe Mahinda Wansha Thera noted that the moment is similar to the historical moment of the Buddha’s visit to Muthiyanganaya. 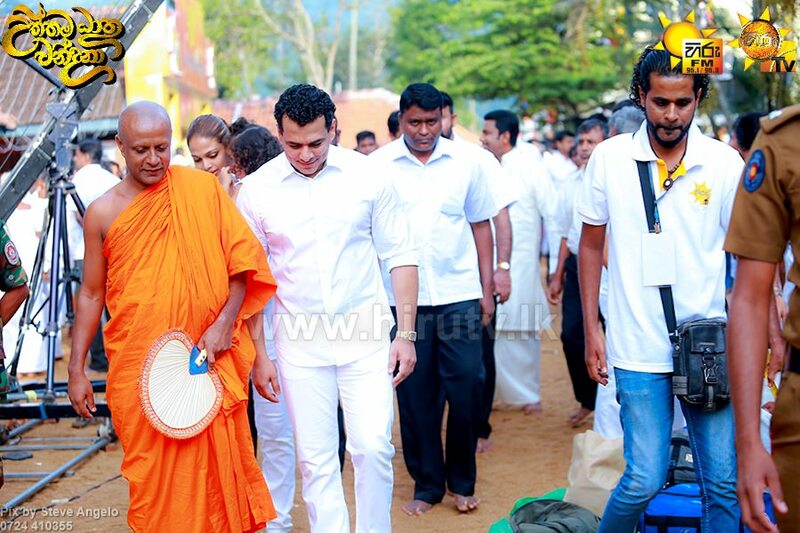 Trustee of Badulla Muthiyangana Raja Maha Vihara Ven. 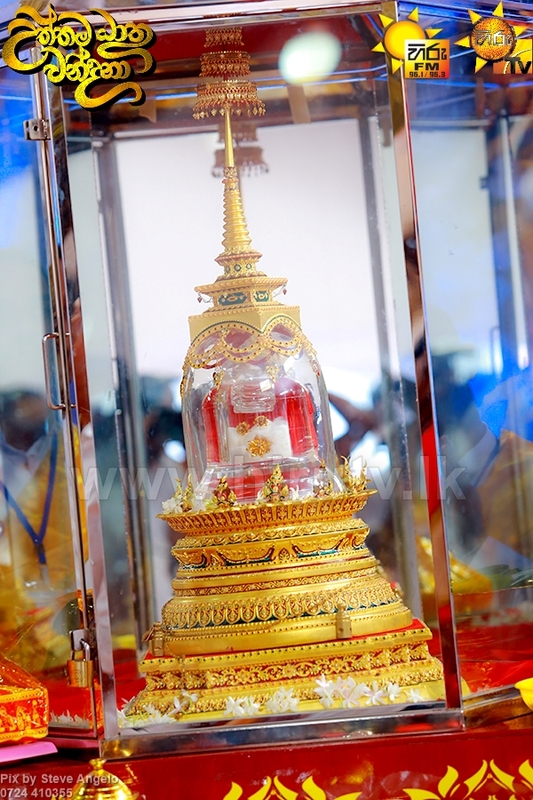 Murundeniye Dhammarathana Thera noted that such meritorious deeds invoke great blessings. 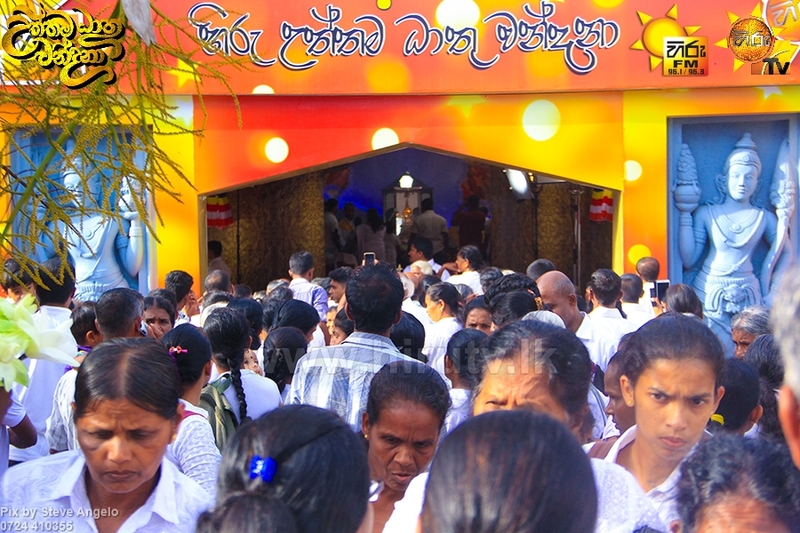 An offering of Buddha Puja was held this afternoon to the sacred relics of the Lord Buddha and later a Gilanpasa Puja was also held this evening. 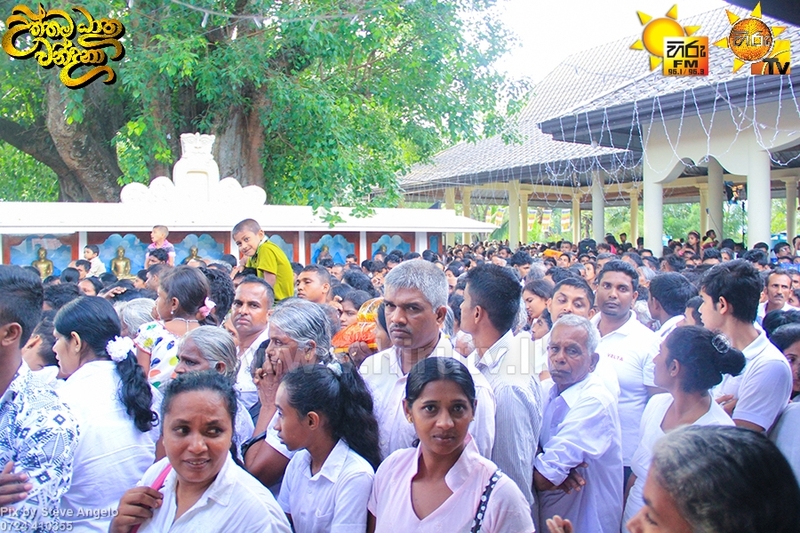 Reports indicated that hundreds of thousands of devotees, lined up in a queue spanning 5 km from the sacred grounds of Muthiyanganaya, were patiently waiting to pay their homage to the sacred Kapilawasthupura relics. 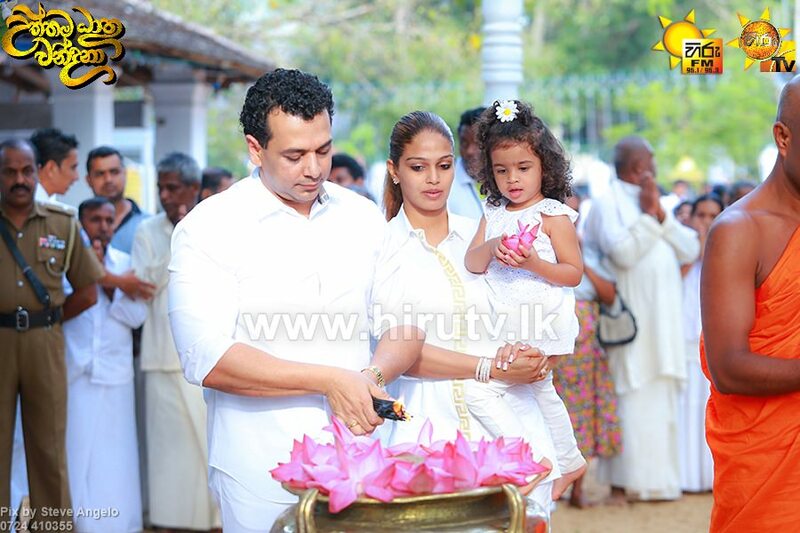 HIRU Uththama Dhathu Vandana programme organized by HIRU TV and HIRU FM in view of the Vesak Poya Day began today. 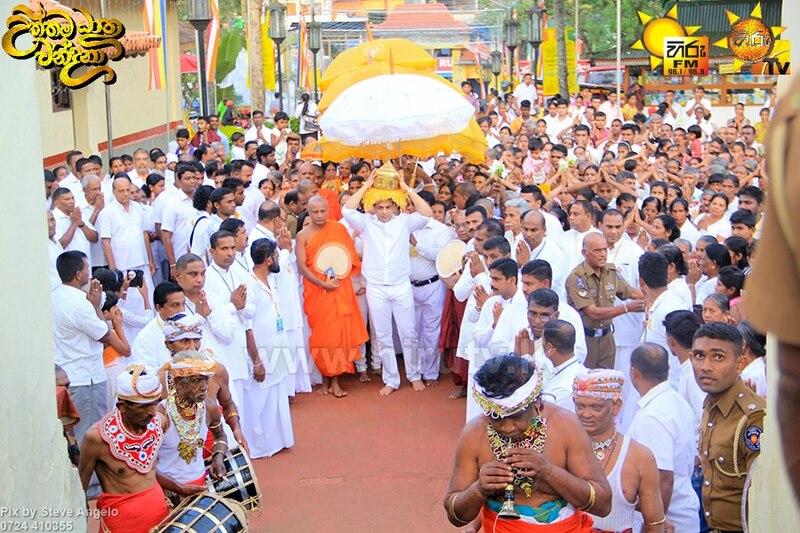 The sacred Kapilawasthu relics placed at Waskaduwa Sri Subhuthi Viharaya were escorted to the Muthiyangana Sacred Grounds where hundreds of thousands of devotees were given the opportunity to pay homage to the relics. 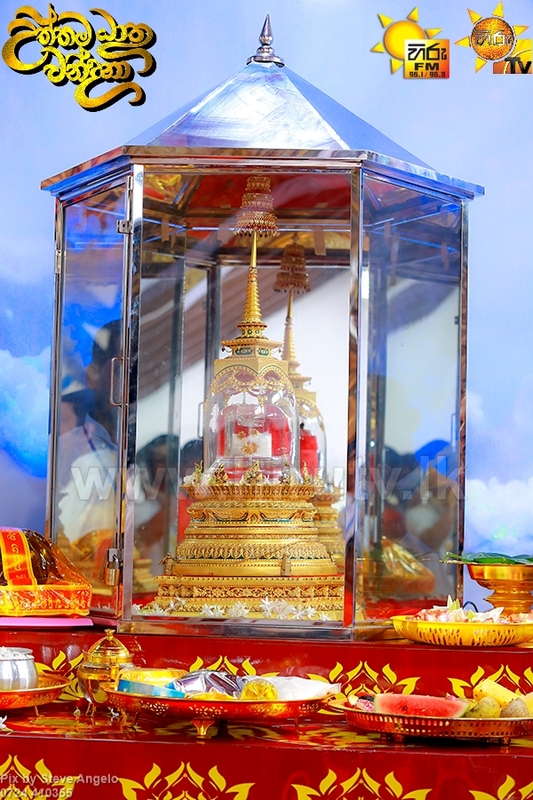 Chairman of the Asia Broadcasting Corporation Mr. Rayynor Silva placed the sacred relics of Lord Buddha from Kapilawasthupura in a special chamber this morning. At this occasion, the Maha Sangha expressed their gratitude and blessings towards the Chairman of the Asia Broadcasting Corporation and the staff. 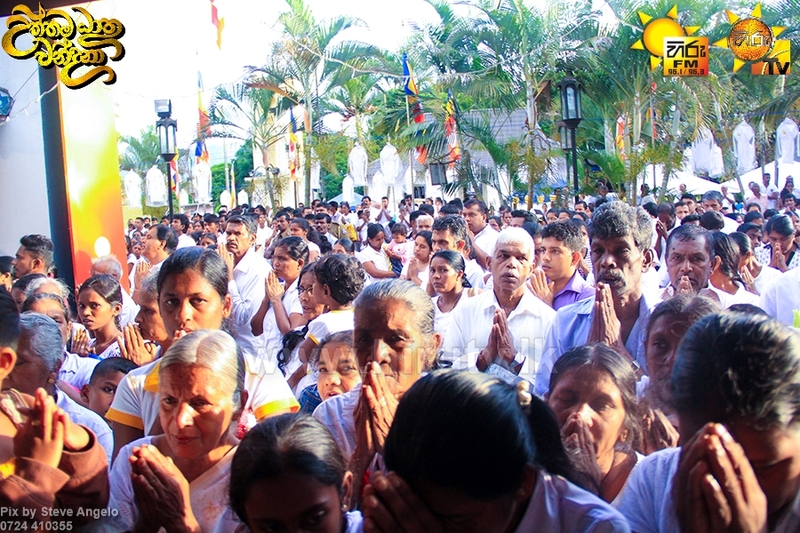 A Dhamma sermon was conducted by the Trustee of Badulla Muthiyangana Raja Maha Vihara Venerable Murundeniye Dhammarathana Thera. 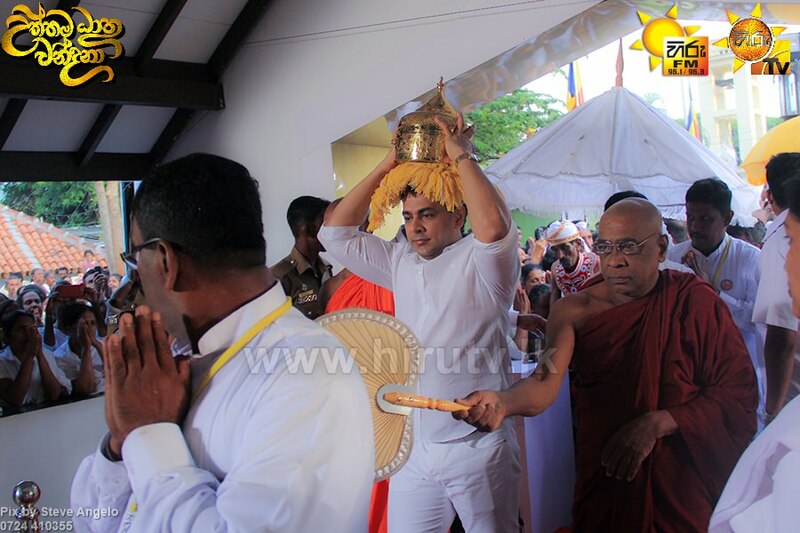 The Chief incumbent of Waskaduwa Sri Subhoothi Vihara noted that the moment is similar to the historic moment of the Buddha’s visit to Muthiyangana sacred site. 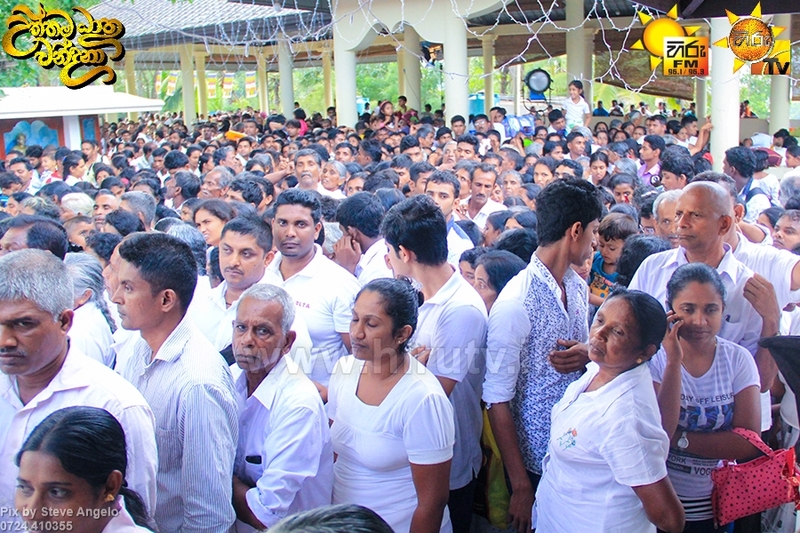 Another notable moment observed during the exposition was that the Chairman of Asia Broadcasting Corporation Mr. Rayynor Silva offering milk rice to the devotees who were arriving to pay homage to the sacred relics. 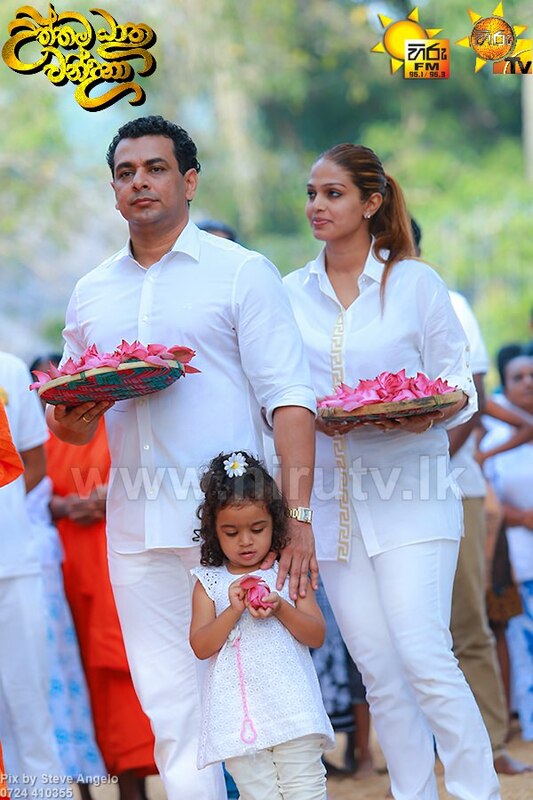 Yesterday an Aloka Puja of Hiru Shakyasinha Mangalyaya was held where 100,000 oil lamps were lit in the premises of the Muthiyangana Chaithya, under the patronage of the Chairman of Asia Broadcasting Corporation Mr. Rayynor Silva.